due to its durability and flexibility, which makes it very functional and easy to align with the theme of your home or flat. 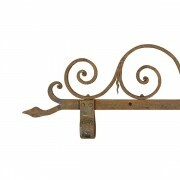 Moreover, the move away from archaic forms of grilles and bringing them at par with new standards in home décor have lead to customizable designs in wrought iron. For those who are looking to decorate your homes and have an inclination towards antiques; while admiring those beautiful curvatures in ornaments you will definitely fall in love with wrought iron and its ability to be transformed into different shapes and geometrical patterns. Today wrought iron is used in a list of applications including decorative items such as railings, outdoor stairs, fences, nuts, bolts, as well as small decorative objects such as antique hanging sign brackets, angle brackets and pot racks. 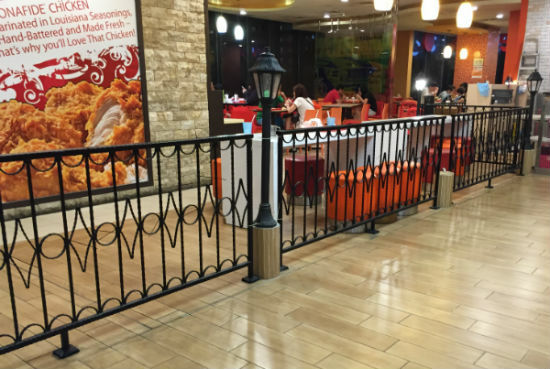 Wrought iron partitions in public spaces facilitate queuing and bifurcating walking pathways. 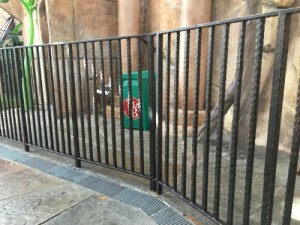 Can you recall those partitions at the Universal Studios Singapore? As you queue up awaiting your ride these solid partitions help maintain decorum and ensure everyone remains in their own lines. 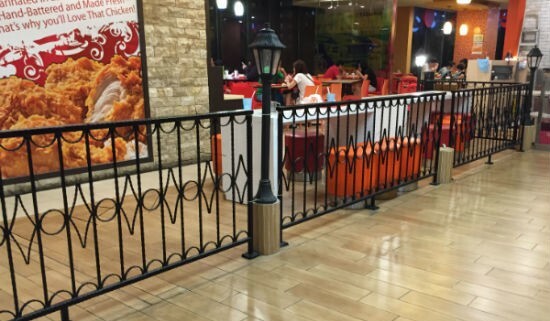 Wrought iron befits the needs of public space barriers perfectly as they are long-lasting, made of heavy material which will hold its ground in the face of strong winds or immense tugging by the crowds. The sturdiness of the material also means that designers can be more creative in customization while still providing the necessary weight-holding strength. 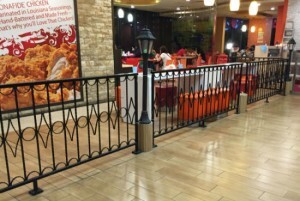 Another popular use of wrought iron widely seen is in malls or restaurants where we come across this beautiful shaped Fencings – one to designate and help area distribution. Here, wrought iron’s characteristic of being durable and not easily damaged serves as an attractive yet sturdy option to make such fencing. 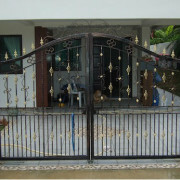 Galvanized stair case railings are increasingly being made of wrought iron. 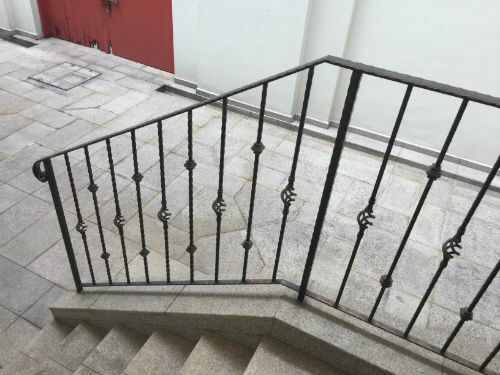 Their smooth and soft touch make them the best choice for consumers who are looking for both looks and quality of the material used for indoor or outdoor stair case alternatives. 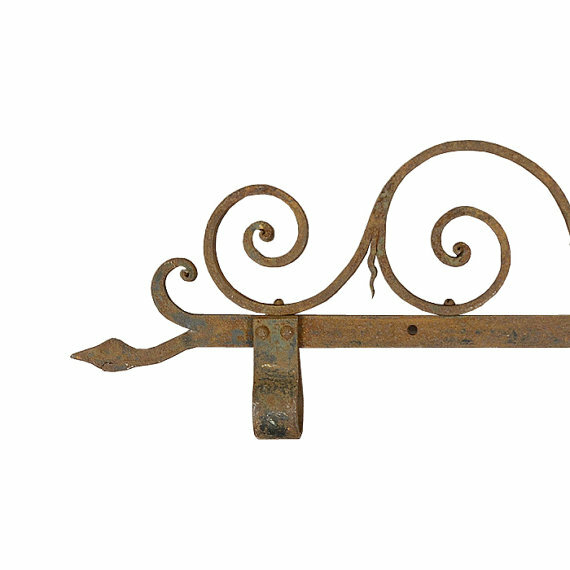 Nowadays increasingly wrought-iron brackets are being used as name plates; these serve best for restaurant owners, shopkeepers and home owners who are looking for simple yet classy communication boards. 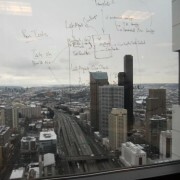 The curvature and design of these tags are especially of admiration. 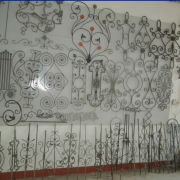 As you can see from the examples above, wrought iron is not only versatile in achieving beautiful, artistic designs but also provides safety owing to its strength. 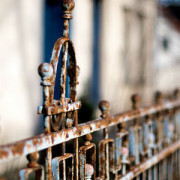 The next time you come across someone who would replace wrought iron with some other material, ask them to think twice and share with them these pointers. 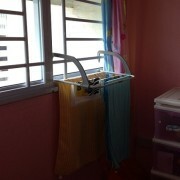 Not only will you have peace of mind with the security, you will be able to spice up your environment as well.